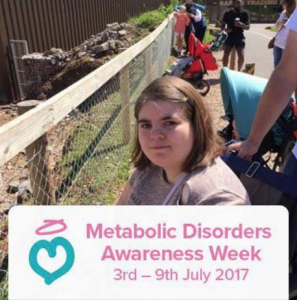 Metabolic Disorders Awareness Week is one of the highlights of our year; a fantastic week-long opportunity to raise awareness of Inherited Metabolic Disorders by sharing your stories and helping people to understand more about these complex rare conditions. -1- Decide how you are going to do your Metabolic Mile! Whether you run, walk, cycle, swim, bounce on a space hopper, walk backwards, row, skip, three-legged, in fancy-dress – the options are endless. If you need some more ideas or help with organising your mile, please get in touch! -2- Register your Metabolic Mile and order your Metabolic Support UK goodies using the form below. -3- Decide if you would like to fundraise for Metabolic Support UK when you do your Metabolic Mile. You could donate £5 to take part or get others to sponsor you to do your mile. All donations can be sent to our Metabolic Mile campaign page . If you prefer an paper sponsorship forms, you can order via the registration form below. Add our special frame to your Facebook profile picture for the week, and encourage all your friends to do the same! – Tell your story; the most powerful way of raising awareness; adding faces and personalities to these rare conditions brings home the effect they have on patients and their families. Scroll down this page to read some of the inspirational stories shared last year! – Hold an event during Awareness Week. Metabolic Support UK can provide leaflets, balloons, wristbands etc to help support your event. Please order using the registration form below. – Share our infographic video and help people to understand more about Inherited Metabolic Disorders. Your support will directly help us to continue our vital work improving the lives of those affected by Inherited Metabolic Disorders. 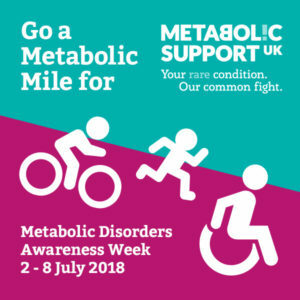 If you are holding an event during Metabolic Disorder Awareness Week, or taking on a Metabolic Mile please complete the form below, we’d love to hear all about it! Do you need any Metabolic Support UK promotional materials to support your awareness raising activities? How did we celebrate last year? 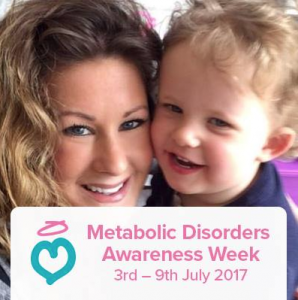 We would like to say a HUGE thank you to everyone for supporting Metabolic Disorders Awareness Week, 3rd – 9th July 2017! We were blown away by the sharing of stories and experiences, helping people to understand more about the conditions that affect loved ones, and showing why raising awareness is so important. 845 people changed their Facebook/Twitter profile picture to the special twibbon, with a reach of 502,600!!! Shares of our social media posts reached another 120,000 people, with even more reached by your friends sharing your posts! Over 8,200 people viewed our infographic video during the week explaining what Inherited Metabolic Disorders are. This was a truly phenomenal result, with hundreds of thousands of people seeing the Awareness Week logo, stories, photos, posts and events, asking questions and learning more about Inherited Metabolic Disorders and the real life experiences and effects on families….THANK YOU!! We also had an amazing response to our My Metabolic Hero campaign, with some truly inspirational nominations! Thank you for helping us to celebrate these wonderful people in our special community! 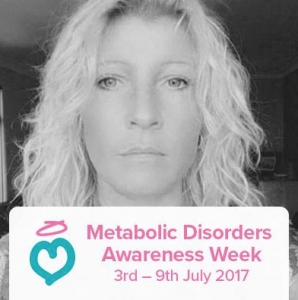 In 2016 we ran the #mymetabolicselfie campaign during Awareness Week, and we were blown away by your support! Hundreds of patients, friends and family members (even pets got in on the act! 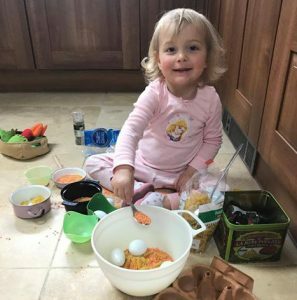 ), health and medical professionals, patient organisations, pharmaceutical and nutrition companies, schools and many more, took over social media with ‘metabolic selfies’ and personal stories of why raising awareness of these rare conditions is so important. We estimate that the #metabolicselfie campaign reached over 100,000 people! Alex has Leigh’s disease and just to complicate things a secondary condition, idiopathic intracranial hypertension. She was born on the 12th May 1991, I was 20 years old and frightened to death. She was born perfect in every single way, illness or problems with her development never crossed my mind as we had nothing of significance in the family. She didn’t feed overly well and struggled to put on weight she vomited after almost every feed. She started struggling to reach milestones but the health professionals didn’t seem bothered so I wasn’t either. Things came to a head just before she started school, I remember going to the GP and told him Alex still wasn’t talking and was on a par with the Tasmanian Devil! The GP looked at me as if I was slightly neurotic, I told him I wasn’t moving from his room until he had referred me! He decided he would send us to the Speech and Language Therapy (SALT) service, I remember arriving at the speech therapist office on that Monday afternoon, I remember everything about that appointment. Alex just whizzed through the room causing destruction! The therapist looked at me and my husband Gary and said “what would you like me to do about her?” It sounds harsh, but in fact it was because of the speech therapist that day we were referred onto the appropriate children’s services. Anyway, fast forward 21 years…to say our lives have been turned upside down numerous times and back again would be an understatement. With consultants dismissing our concerns along the way, with an unbelievable amount of time spent in hospital consultations, with nobody wanting to give us a diagnosis or even listen to us, here we are now, under the care of Newcastle and Professor Sir Turnbull’s team with our doctor being the amazing Dr Gorman. We finally have the diagnosis of Leigh’s and people that truly understand our struggles. I feel we are lucky that Alex is here, able to enjoy some things in life. We are a close knit family and support each other. Alex has made me the person I am today, and through her we have met many wonderful and inspirational people and families. She is our inspiration and she is a fighter. She has the most wicked sense of humour, sometimes inappropriately so! One consultant said she has a special knack of drawing you in. I have to agree, she can wrap anyone around her finger. She is our Alex and we love her more than words can say. 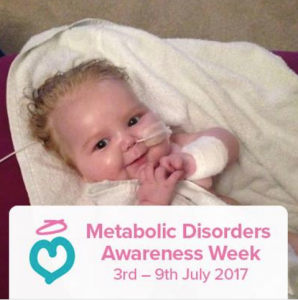 This week is Metabolic Disorders Awareness Week so I am going to share a little – however even finding a profile picture of my little boy Ethan to raise awareness is extremely tough. I don’t want to show pictures of him on a life support machine, I want to share pictures of him smiling and happy. I miss him every day and having Climb as a support network really helps me with my grieving some days. Metabolic disorders aren’t always easy to spot in a person. You can look perfectly normal and your body on the inside is struggling to break down what it needs to break down in order for you to be healthy. These disorders are sometimes blind to see and there are even children and adults out there with metabolic disorders who don’t even know they have one. When I had my son I learnt genetics. I learnt how my little boy couldn’t break down protein in his body so he had to have drugs to do it for him. I learnt that if these proteins weren’t escaping his body he would be at risk of more brain damage. Most importantly I learnt to listen to myself if I knew something was not quite right. I won’t ever get over losing Ethan, but I will do the right thing by him and that’s to support a charity who deserve every penny it gets to help other children and adults with metabolic disorders have a better quality of life. So please, I know it’s easy for most people to scroll past my status because they have a healthy family and nothing bad has happened to them but I didn’t think anything bad would happen to my son and my life changed forever when he died. His birth scans were normal, it was 2 days after he was born that we found out he had a Metabolic Disorder that was 1 in 80,000. Please take a minute to appreciate all that you have in your life. Thank you Climb for all that you do. This week is Metabolic Disorders Awareness Week. Loads of people will scroll past this post thinking this is nothing to do with them. “It will not affect me” they think. A few years ago I would have also been delusional that this would never affect us, but it has and it affects so many people. Do you know some people still refuse the Newborn Screening heel prick tests to be carried out, and some countries do not even let you have the choice!! This is crazy. The consequences of these disorders are unimaginable. Please spread awareness. Climb, you have helped me when I saw no hope, when all I saw is darkness. You’re amazing and I would do anything to help support you. Thank you, you’re amazing people. This week is Metabolic Disorders Awareness Week, and we are encouraged to share our story. This is Brooke. She had Citrullinemia type 1. Her liver was missing an enzyme meaning her body couldn’t get rid of toxins, mainly ammonia, which built up at birth and caused brain damage. 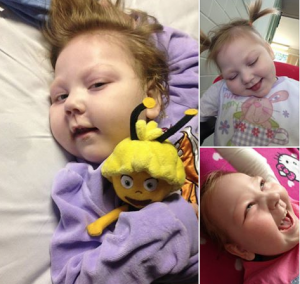 She also had epilepsy, dystonic movement disorder, pseudomonas, and global development delay. But she always smiled. Even when critically ill, she smiled and laughed. She passed in March 2015, at home in bed unexpectedly. They say she had suffered a major seizure. I miss her every day, but she was a true inspiration to myself and others and I know her smile is missed by many. Raising awareness for metabolic conditions is vitally important. Early diagnosis is essential and newborn screening could save so many lives and prevent irreversible damage. During the last 10 months we have been on an information rollercoaster. 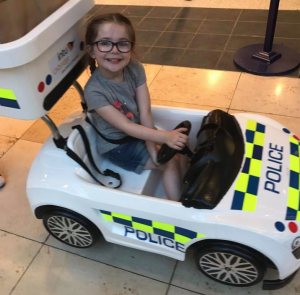 The scary part is that we still have to explain Esmee’s condition to healthcare professionals and push for early and fast preventative testing and treatment when she is potentially poorly. We have had to become experts to a degree in her condition, OTC, but there are many different types of metabolic conditions with their own complex issues and severity. Esmee is amazing and continues to thrive, we don’t take this for granted though. Hopefully by raising awareness in this way other families will be able to benefit from early diagnosis. Two of my children have a Metabolic Disorder called Homocystinuria (HCU). It is a potentially serious inherited condition. They are unable to break down the amino acid methionine. This causes a build up of methionine and a chemical is then produced called homocystiene. Hence Chanel having a Venus sinus thrombosis and bleed to the brain, and her lenses detached. Matt has physical problems and is unable to eat sometimes due to taking 36 tablets a day.